In the brand-new Lip Sync Battle Shorties episode "Candy Store, Colorful Arcade, 4th of July Party!" (#206), three JoJo Siwa super fans get the chance to sync to some of her biggest hits. Nick Cannon and JoJo Siwa host with a very special appearance by JoJo's faithful pup, BowBow Siwa! CARBON CLIFF — Tatum Roselle and his parents have crisscrossed the country the past year and a half — but they haven’t been on vacations. 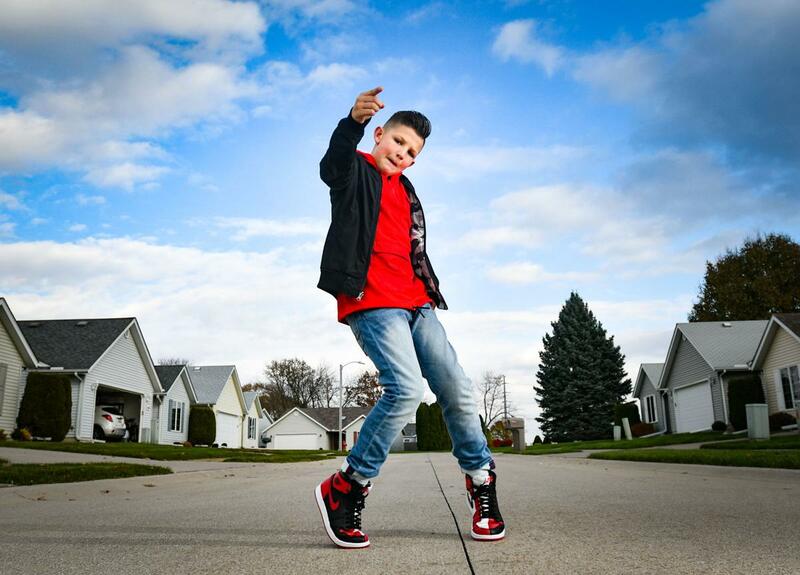 Instead, the 12-year-old Colona Middle School student has been working hard to make his dancing dreams come true. Tatum has been dancing since he was 5, mainly in hip-hop style. 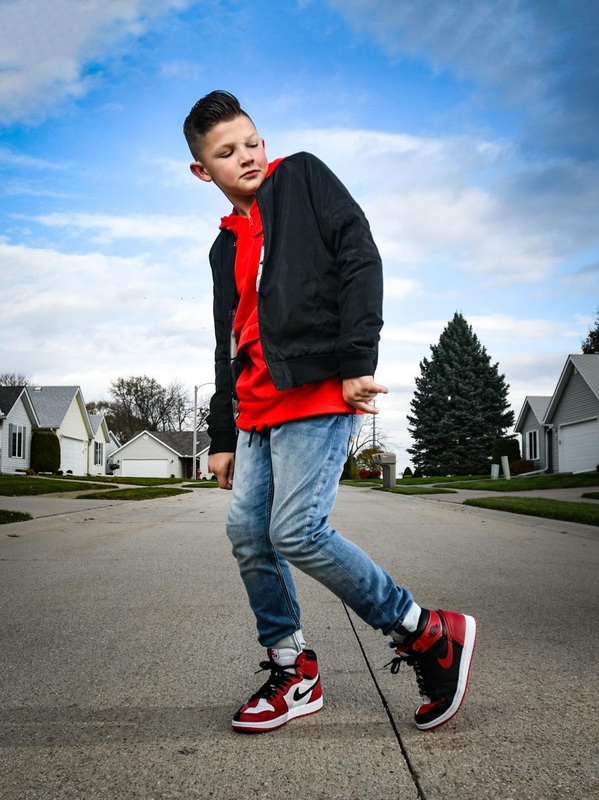 He will show off his skills nationwide Friday, Nov. 9, when he will appear as a contestant on Nickelodeon’s “Lip Sync Battle Shorties,” airing on TV at 6 p.m. He performed recently at a Quad-Cities Lip Sync Battle Shorties event at Rock Island’s Establishment Theatre. Tatum’s performance won him the Agency Award at a “Monsters of Hip-Hop” convention in April 2017 in Orlando, Fla., which earned him a meeting with the L.A.-area agency that summer, Medeiros noted. “We had a conversation with Tatum and his family, and from there, mutually decided he would be a great fit for our GTA family,” she said. Tatum Roselle, 12, of Colona, poses for a portrait Friday, Nov. 2, 2018, in Carbon Cliff. Tatum was most recently selected to be on Nickelodeon’s “Lip Sync Battle Shorties” that will air Friday, Nov. 9. Photo credit: Meg McLaughlin. Tatum’s appearance on Nickelodeon’s “Lip Sync Battle Shorties” was filmed over four days in July at Warner Bros. Studios in Los Angeles. He is one of three contestants ages 10 to 12 performing with backup dancers in the episode. Tatum lip-synced to JoJo Siwa’s “High Top Shoes.” Siwa, who appeared on the “Dance Moms” show, is a 15-year-old native of Omaha, Neb. “I love shoes,” Tatum said last week at his grandma’s house, noting he loves to wear Jordan high-tops. For the show, he couldn’t wear Jordans or any shoes with logos, but he sported a silver pair that lit up on the bottom. He didn’t win his episode of the show, but is having a viewing party at his house Friday. Tatum said his favorite part of the experience was performing and getting to be on TV. He said he wasn’t nervous. “I like making people happy when I dance, showing my personality, getting noticed by other people in the industry,” he said. Tatum has taken weekly dance classes with the Davenport-based hip-hop studio RE-FL3X, run by Juan Valtierra of East Moline, since he was 5. Tatum heard about the national “ImmaBeast” hip-hop dance company on Instagram, where he follows a lot of dance people. His own account (@taterose32) — where he posts photos and videos — has 2,010 followers. He first auditioned in Chicago in June 2017 for ImmaBeast to get a scholarship to go to L.A. that July. Tatum was among about 100 who tried out in Chicago, and five were picked. “I’m going around totally overwhelmed, and he’s like, ‘I’m fine. What are you nervous for?’ He’s always cool and collected,” she said. One agency they met with in L.A. asked him to move there immediately. Tatum plays quarterback for his school team, and he said participating in sports helps his dancing, especially his hand-eye coordination and muscle control. Tatum said he’d like to be an actor when he grows up. “That has a little more personality, and personality is pretty much how I carry my dance off. I’d like to dance professionally,” he said. He’s been in a couple of local TV commercials, which were booked through the Rock Island-based SK Models and filmed in 2016-17. One of those gigs earned him $300, which he used to buy Christmas presents for his family. Friends have said they’re glad he hasn’t changed with his newfound stardom. “He’s very down to earth, outgoing, very compassionate,” his mom said. He hopes the Nickelodeon show leads to more opportunities, more auditions, and more fame. During the whirlwind of his performances, Tatum also got to dance before two Chicago Bulls games at the United Center in 2017 and this year with Essence W. Dance, based in Davenport. “It was fun,” Tatum said. “You got to be on the floor Michael Jordan was on,” his dad added with pride.